Have you grasped the latest regulatory updates on Asia-Pacific region? What are the latest changes to the revision of China’s MEP Order No. 7 for new and existing chemicals? What are the latest chemical regulatory trends in Taiwan of China? Would you be interested in a discussion featuring experts who provided consultation to the authorities for the development of the unified registration system for chemicals in Taiwan of China ? How to manage potential supply chain disruptions caused by environmental enforcement pressure from the Chinese government? How does the recent Road Transport of Dangerous Goods Regulation in China JT/T 617 (2018) impact consumer commodities? Would you consider a discussion with the Director of the Ministry of Transport (MOT) of China on the interpretation of China JT/T 617 (2018) a point of high interest? 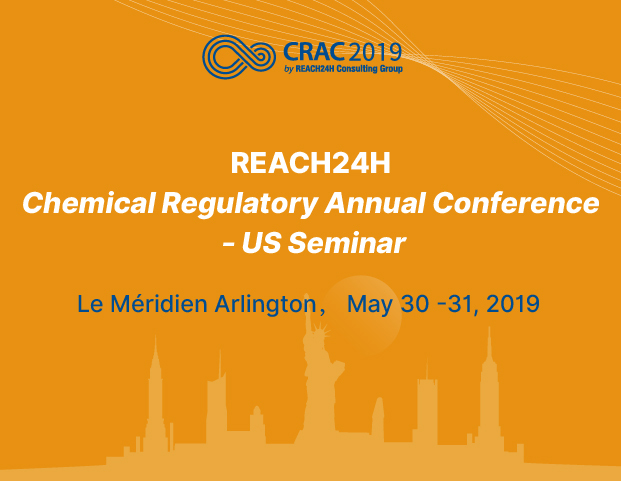 In 2009, the first Chemical Regulatory Annual Conference (CRAC) kicked off in Shanghai with the aims of promoting the development of the industry through compliance. This Conference proposed a new model for the industry, creating a multi-exchange platform where professionals could share in-depth analysis of regulatory and policy trends, experiences in compliance and discuss barriers as well as future possible ways forward for the industry. Over the last ten years, CRAC has witnessed the rapid development of the chemical industry and its shift towards a greener approach. Global oversight levels have risen, pressure for environmental protection has increased, competition has intensified and new opportunities and limitations have multiplied, which has injected a new impetus into various industries to change and rise up to the challenge. mention the CRAC - US Seminar to access the discounted rate.